Fireworks Safety Month is an annual awareness effort sponsored by Prevent Blindness America. Its aim is educating the public on the dangers that fireworks can cause if misused or handled carelessly. 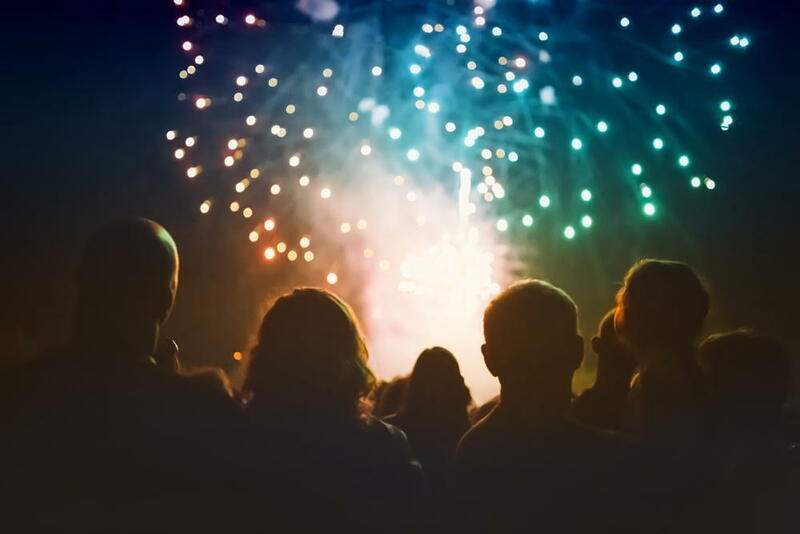 Fireworks can create beautiful, exciting displays for people to enjoy during holiday celebrations, but there is always the risk of sustaining burns or other bodily harm from these powerful mini-explosives. At The Eye Center, our South Tulsa and Okmulgee optometrist want to help you minimize and reduce the risk of injury. Why is Fireworks Safety Month Important? National Fireworks Safety Month is important, especially when speaking of maintaining eye health. Although most fireworks injuries involve hand burns, fireworks have also caused chest, head and eye injuries. As the 4th of July holiday approaches, there will be a surge of firework usage across the country, both on a small and large scale. According to the National Safety Council, tens of thousands of structure fires, vehicle fires, and injuries occur each year due to fireworks. Although some fireworks are legal and sold widely to the public during certain times of the year, other fireworks are illegal in some areas and particularly dangerous to use. This does not always stop revelers from finding ways to purchase these "underground" burners. Whether fireworks are legal or illegal, however, is not the main issue. Both kinds can be harmful if handled improperly and, therefore, there's a great need to help people understand how to handle fireworks as safely as possible. For more information about Fireworks Safety Month or for general questions about routine eye care and maintaining eye health, call one of our optometry offices today. We're always happy to help! To contact our South Tulsa optometrist, call 918-369-3937. To contact our Okmulgee optometrist, call 918-756-0316.